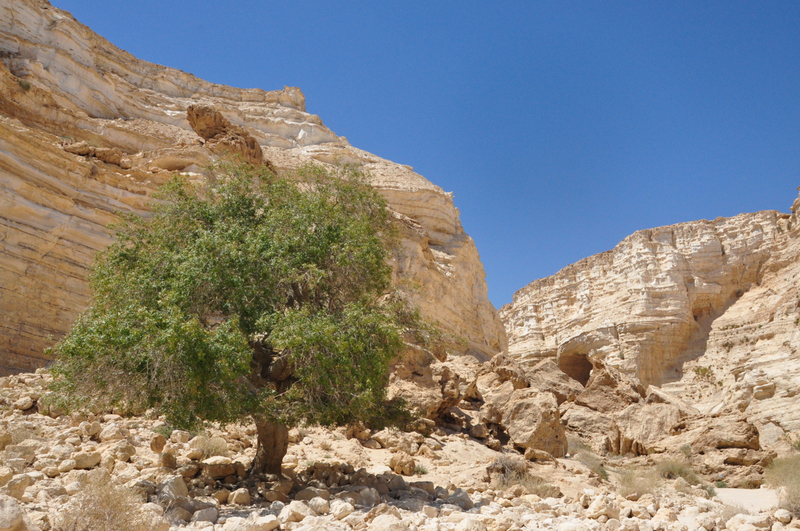 The Negev is one of the quintessential areas of Israel. 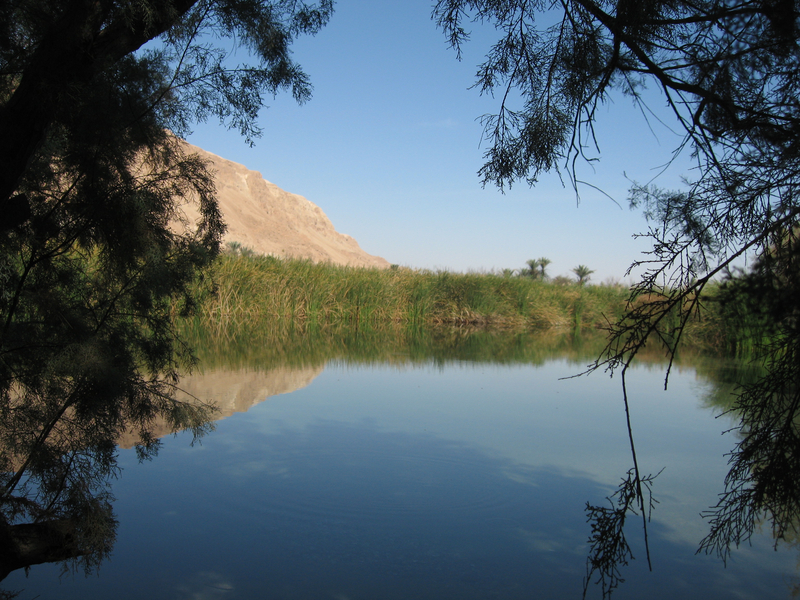 When visiting you should plan some time in the Negev, which makes up 60% of Israel’s land area. 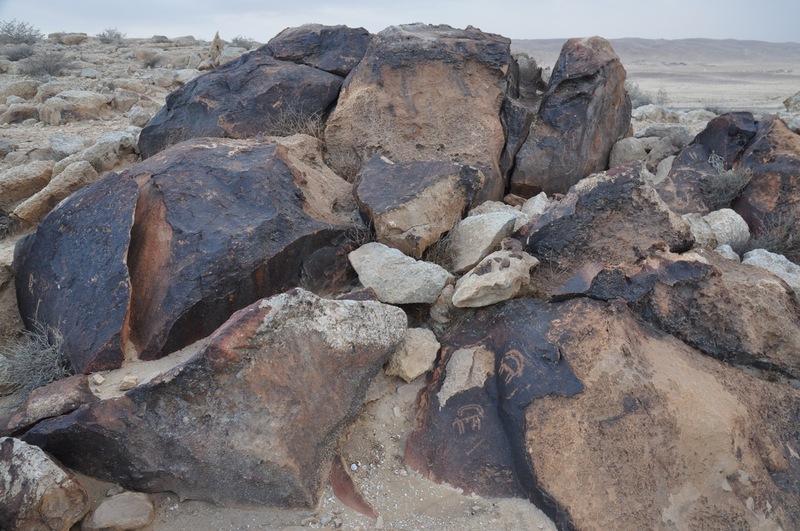 Ben Gurion was the visionary that realized the importance of the Negev to Israel’s future. 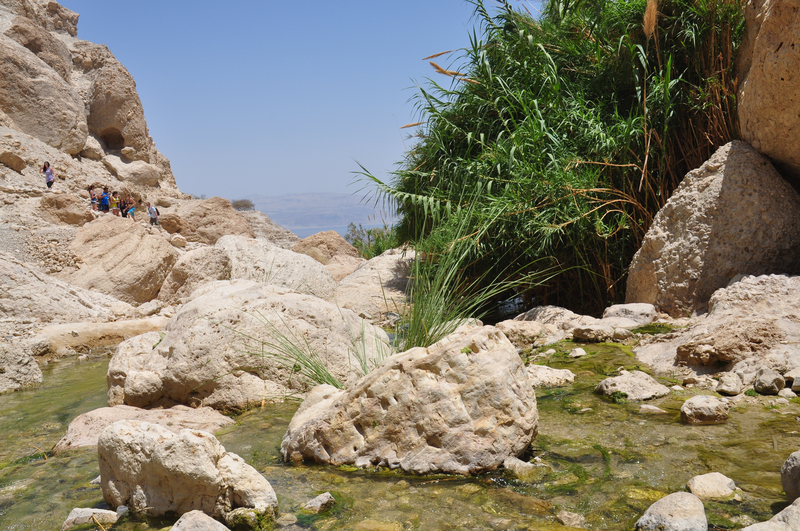 Near Sde Boker, the final resting place of David Ben Gurion, is Ein Avdat, a spring in a canyon. It’s high limestone walls and pools are a great place for photographs. 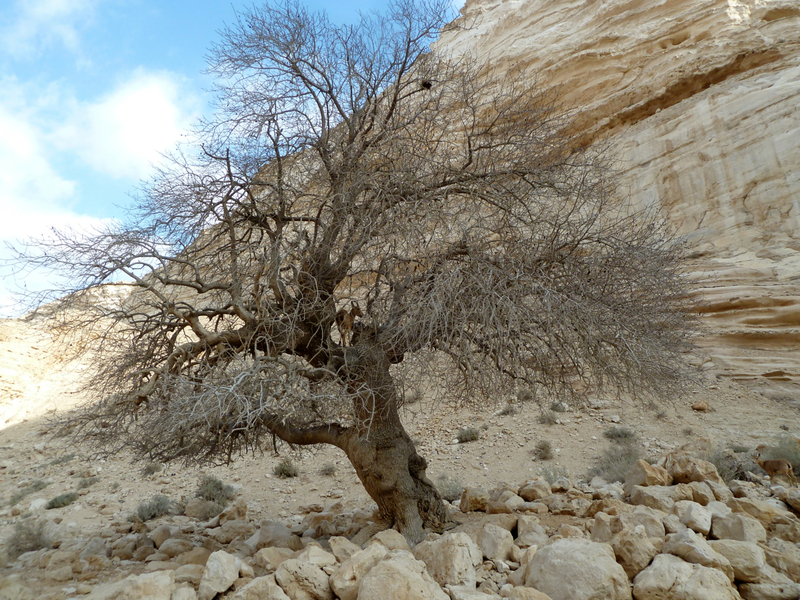 As you enter the reserve you will notice an old (250-year-old), solitary terebinth, a Pistachia Atlantic, אלה in Hebrew, rooted in the rocky soil. 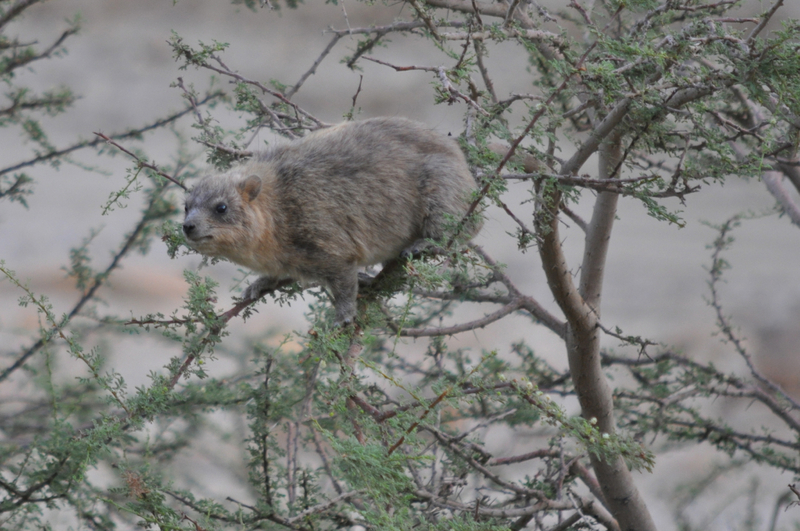 This tree normally grows in colder, semi-arid zones with annual rainfall of over 300 mm – this tree is a reminder of a forest that flourished here when the climate was colder and rainier. Looking up you may see Griffon vultures that nest on the cliffs soar overhead. 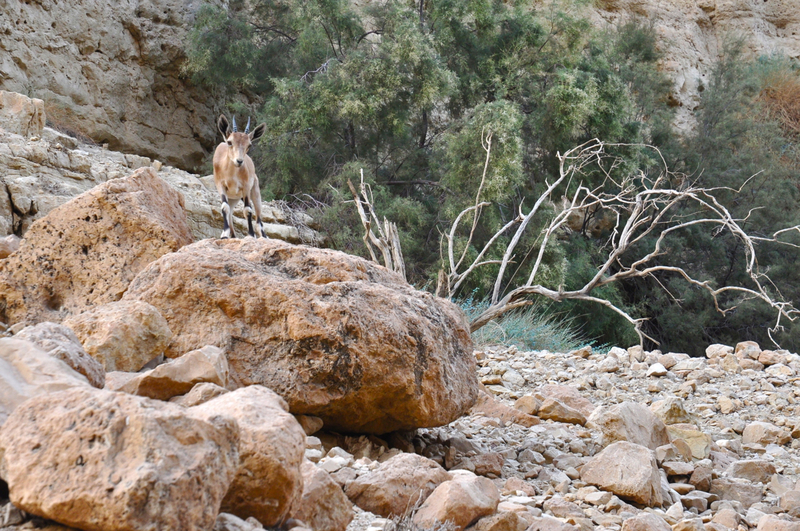 There are also quite a few ibex that are attracted by the water. 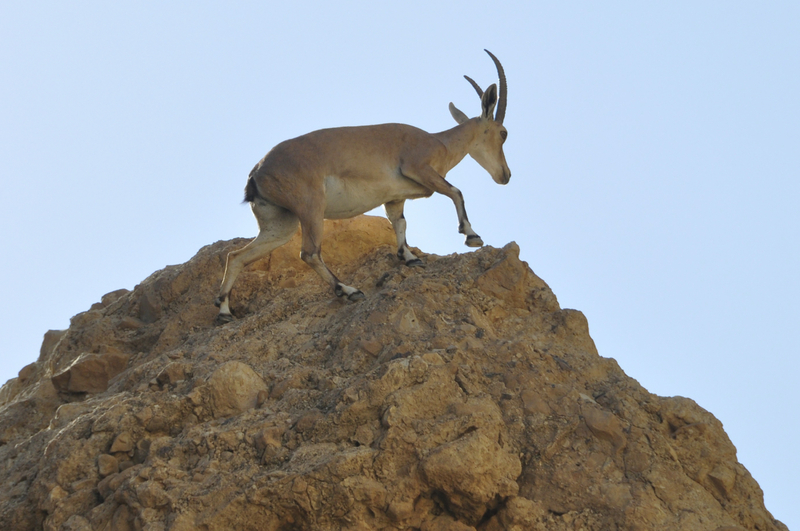 Ibex, a kind of mountain goat, are very good climbers on the steep rocky slopes and even up in a Pistachio tree. The technical details, shot with a Lumix point and shoot camera, ISO 80, 4.1mm, F4 at 1/200 sec. 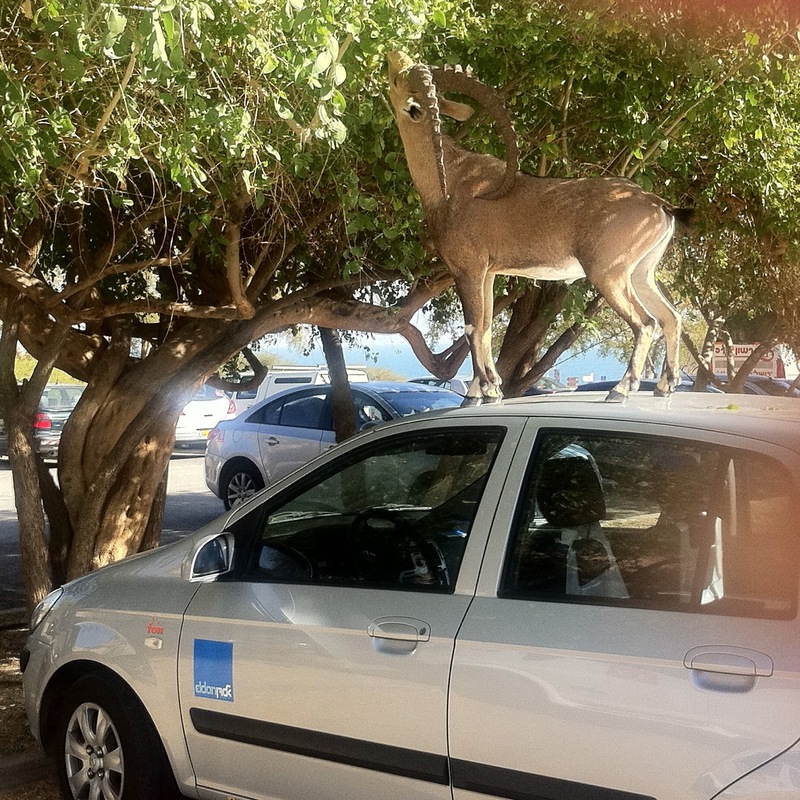 This entry was posted in Photography and tagged ibex, terebinth on January 24, 2014 by Shmuel Browns. 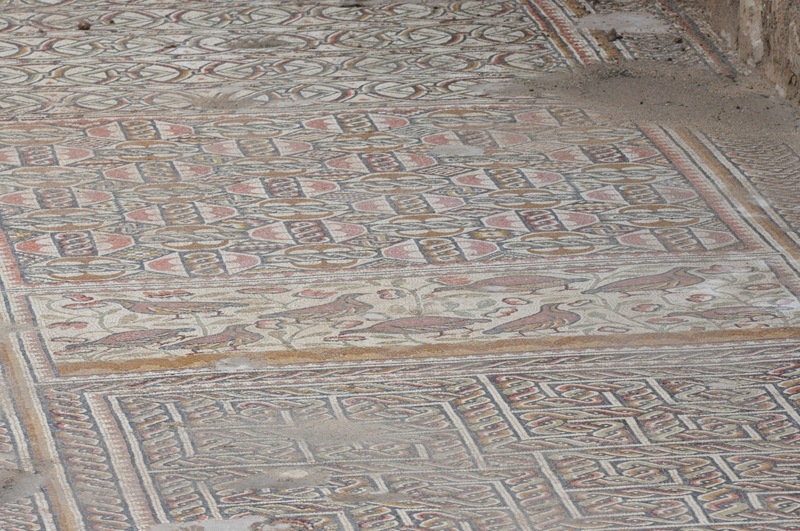 All of the floors recently uncovered in the church at Hirbet Midras have incredible mosaics, that are extraordinarily well preserved. 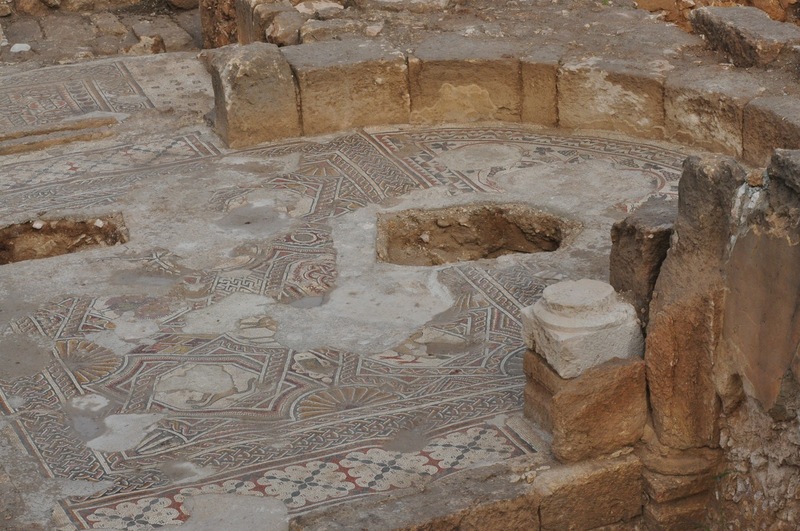 The mosaics include both intricate geometric designs and floral, fauna, fish, birds and fruit. 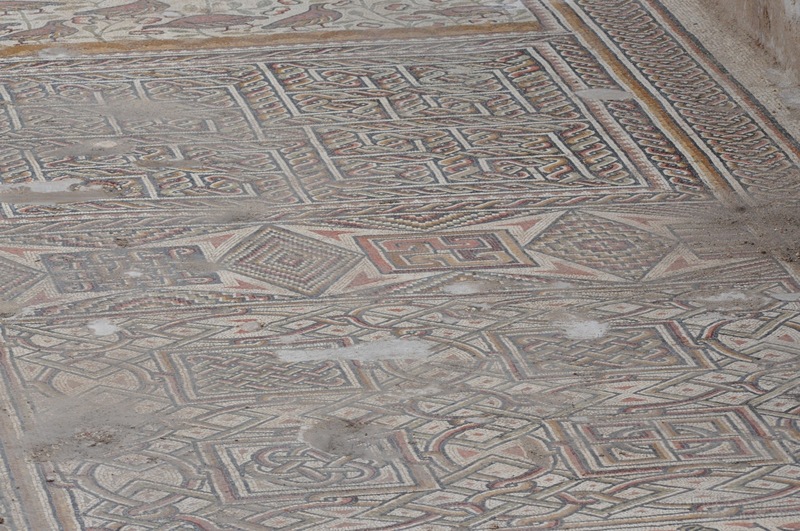 The tesserae are fine, 7mm cubes in an assortment of colors enabling the artists to create realistic images. You can click on any of the images to see it in higher resolution. The apse of the church with a geometric rectangular carpet; the curved part has an image of a rooster and duck in a design of grapevine tendrils and bunches of grapes. 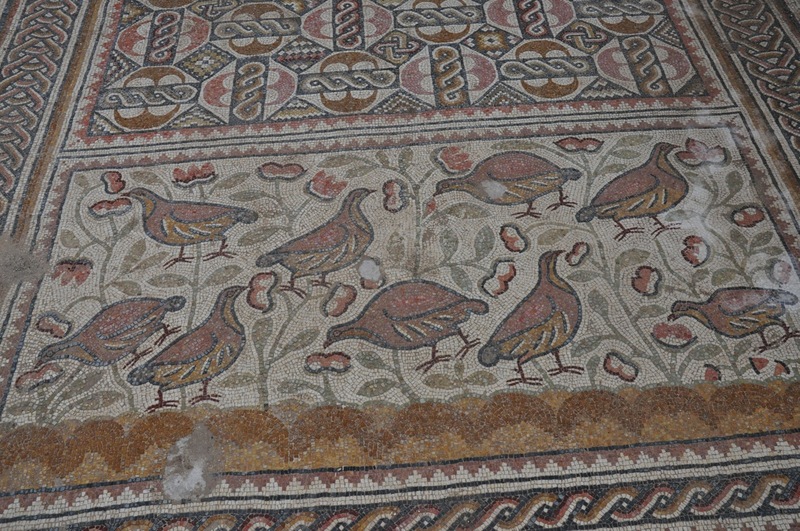 Display of mosaics in the aisle, geometric patterns on either side of a panel with chukar birds. Close up of the chukar bird panel. 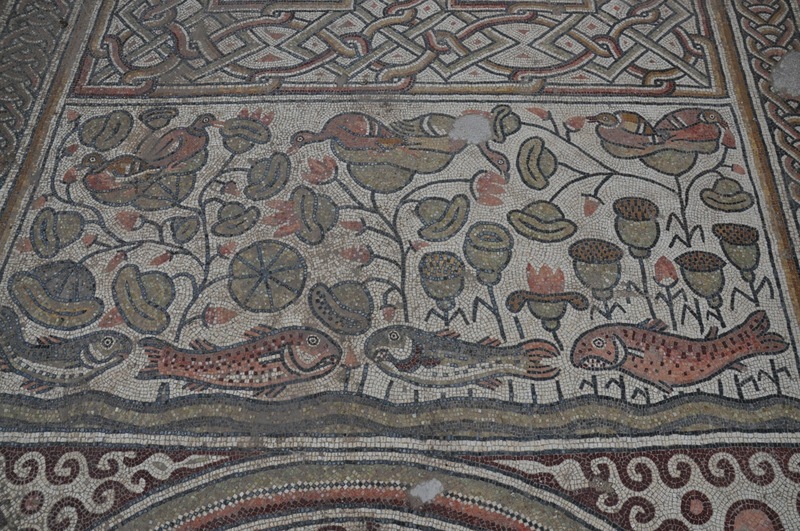 Panel that combines birds, fish and lotus. 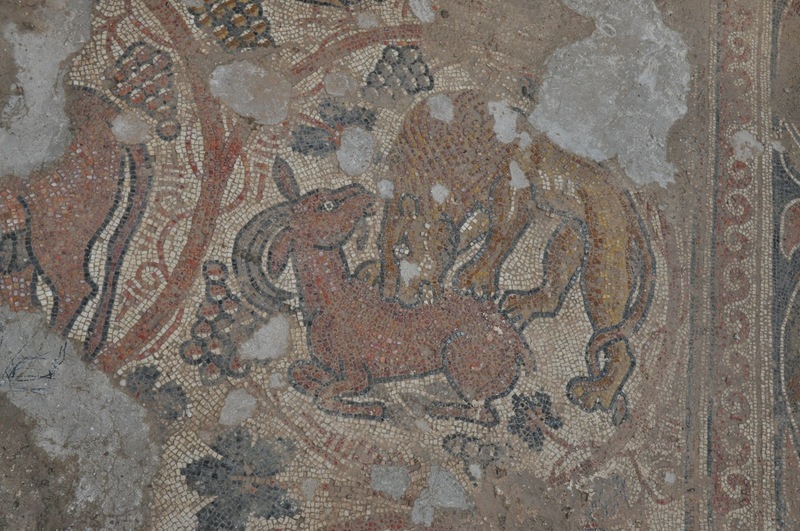 Image of a lion attacking what looks like an ibex among grapevines. 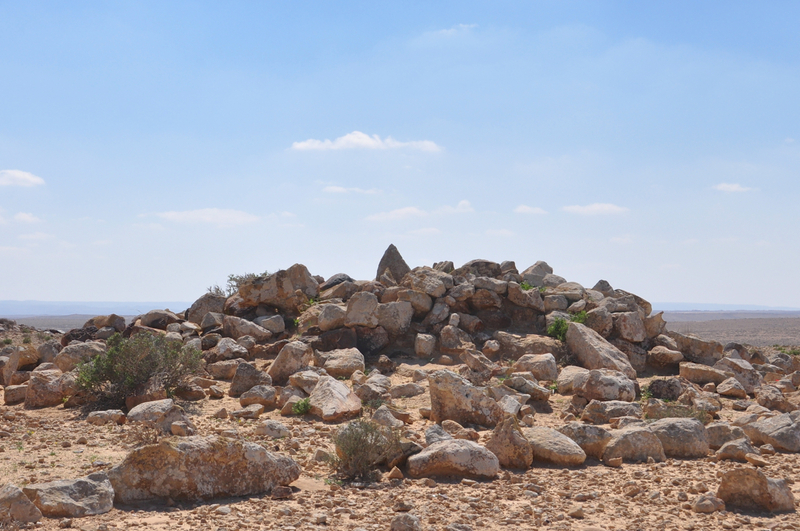 Interesting to compare it with the image of the lion attacking the deer under the tree from Hisham’s Palace (Khirbet El-Mafjar, 7th century) near Jericho. 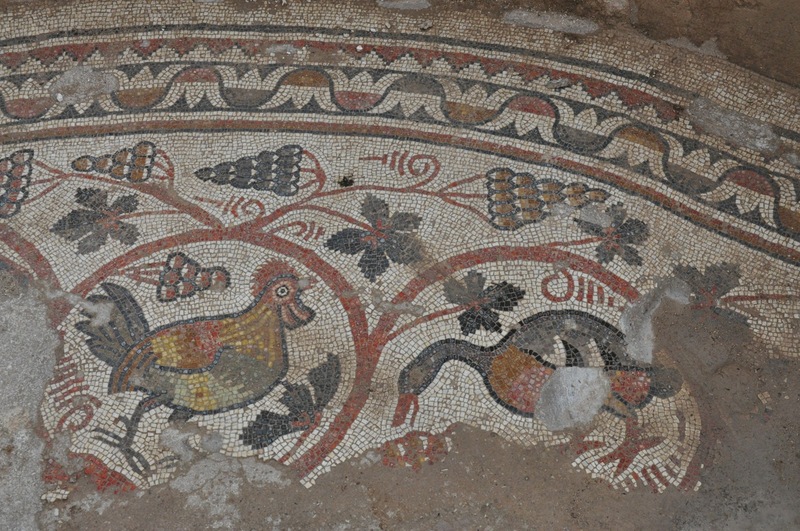 This entry was posted in Archaeology, Art, Mosaics and tagged apse, birds, Byzantine, church, duck, fauna, fish, flora, Hirbet Midras, ibex, Khirbet Midras, lion, lotus, mosaic, mosaic floor, mosaics, photographs, photos, postaweek2011, rooster on February 4, 2011 by Shmuel Browns.